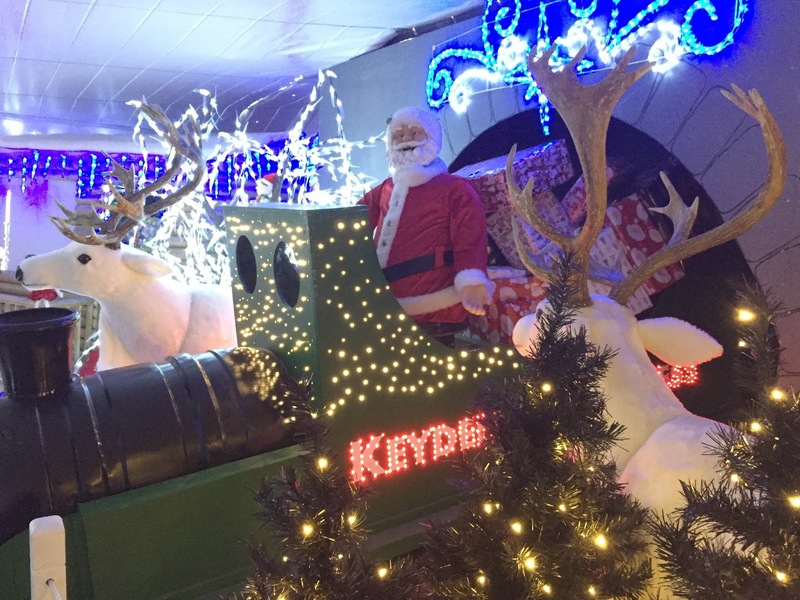 This time last year I saw a lot of friends on Facebook raving about the Christmas experience at a local garden centre – Keydell Nursery in Horndean, Hampshire. If it was just one person posting loads of photos I might have passed it off as over-enthusiasm. But in the space of a few weeks I saw dozens of pictures and recommendations. 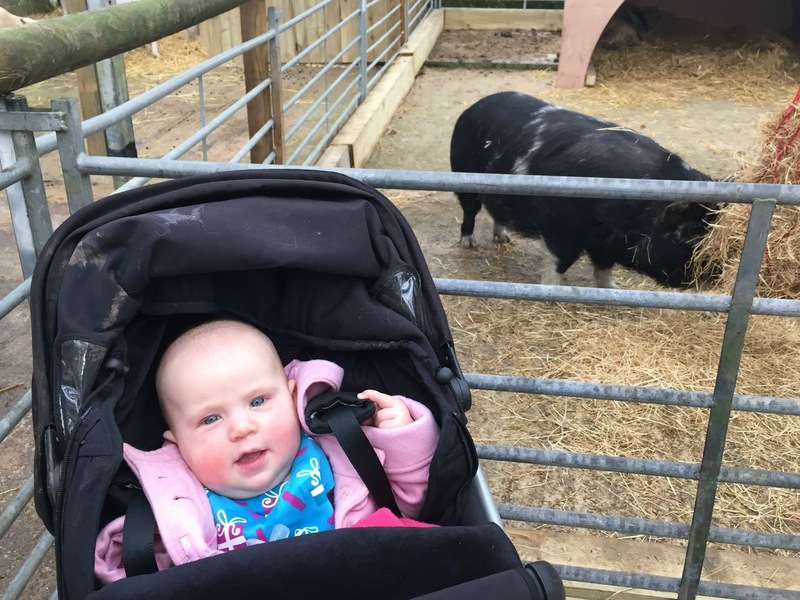 Tin Box Tot was a little too young to appreciate what all the festive fuss was about in 2014, so we didn’t visit but I did file the information away for future reference. 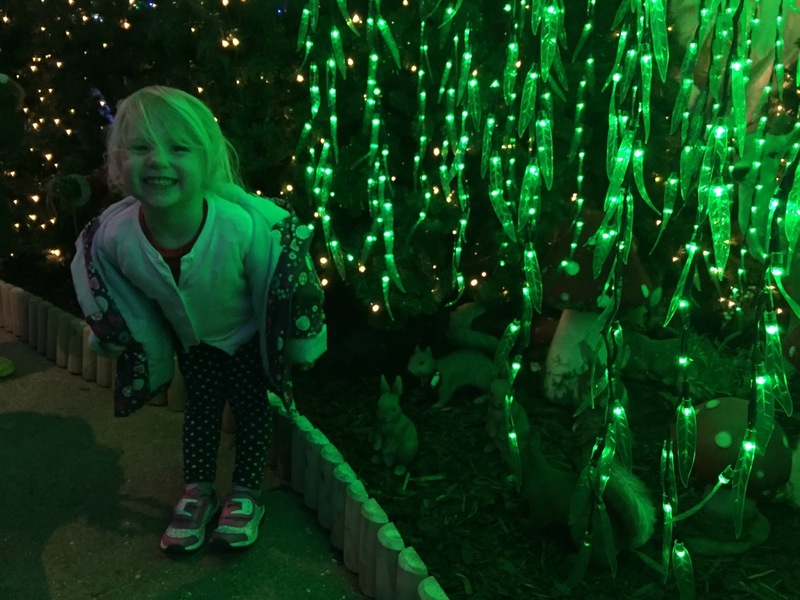 If you’ve read my bucket list of Christmas family days out you’ll know that we are super excited for Christmas this year. Keydell didn’t make the list but it came up is discussion with a friend when we were looking for somewhere to meet for a playdate. A quick visit to the Keydell website revealed that Santa’s Woodland Walk and Grotto was open from mid-November until 23 December. 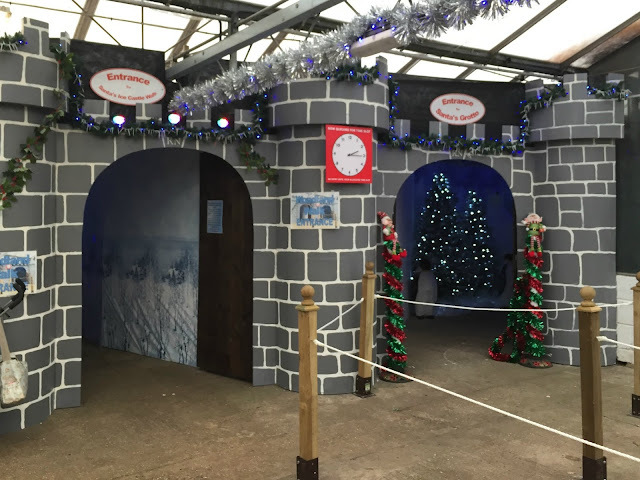 It costs £11 per child to visit Santa in his grotto and receive a present but the woodland walk was free. So off we went to Horndean on Friday. And I’m so glad we did – we had such a good time. We arrived at lunchtime to find queues of cars trying to park. There were plenty of spaces but everyone seemed keen to get as close to the entrance as they could. Our first stop was the cafe to feed the kids. This was also busy but we managed to get a table and a couple of highchairs for the babies. A soup and roll, latte and kids lunch box with ham sandwich, crisps, yogurt, jelly and carton of drink cost just under £10. Not too bad. With full tummies all round we walked back into the main garden centre in search of Santa’s Woodland Walk. 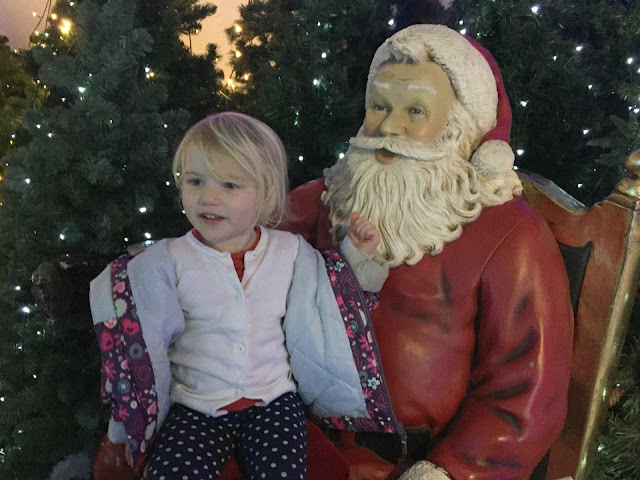 We had decided against paying for the grotto as my friend’s daughter gets a little freaked out by Santa. The garden centre is packed full of plants, seeds, bird food, gardening tools, ornaments and gifts. It’s quite an assault on the senses. 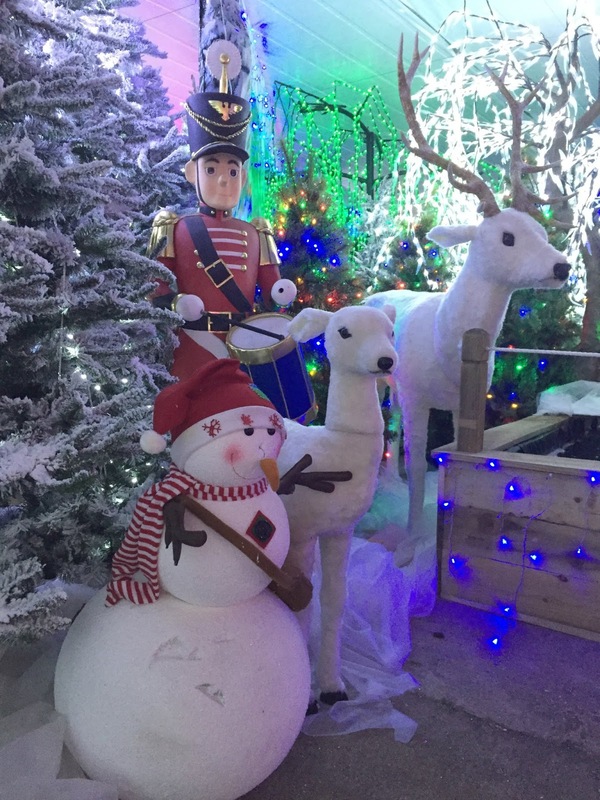 Our eyes were drawn in all directions so it was a bit of a surprise that we managed to find the entrance to Santa’s Woodland Walk quite quickly. Inside the kids’ (and adults’) excitement levels rose steeply. 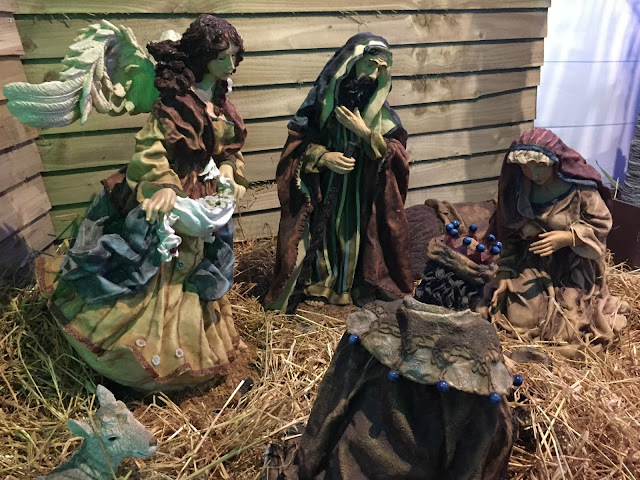 The walk winds through numerous Christmas scenes from a nativity to animatronic displays and photo opportunities with Santa. 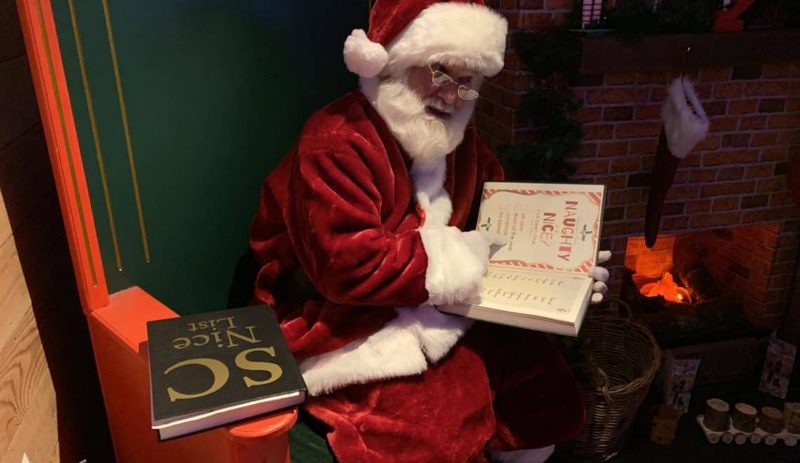 You can also meet some of Santa’s real reindeer. Tin Box Tot was beside herself – there was a lot of squealing with joy. Tin Box Baby, who should have been napping long ago, was fascinated by the lights and refused to let sleep beat her. 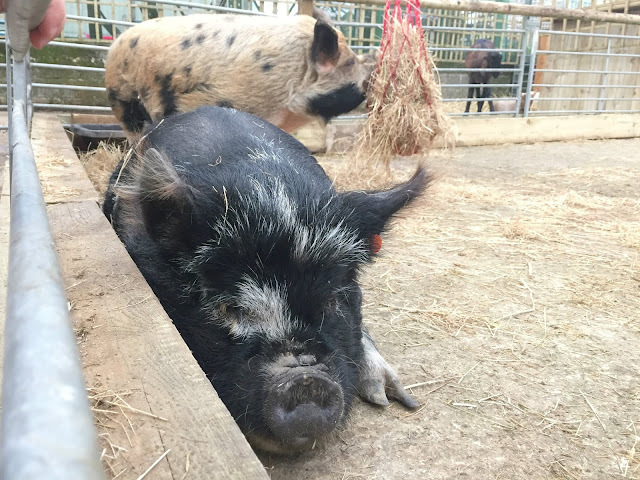 When you come out of the walk there are three pens of animals to pet. Meeting the pigs, donkeys and goats gave us a chance to calm the kids down a little bit before we visited the Christmas shop, which is an attraction in itself. 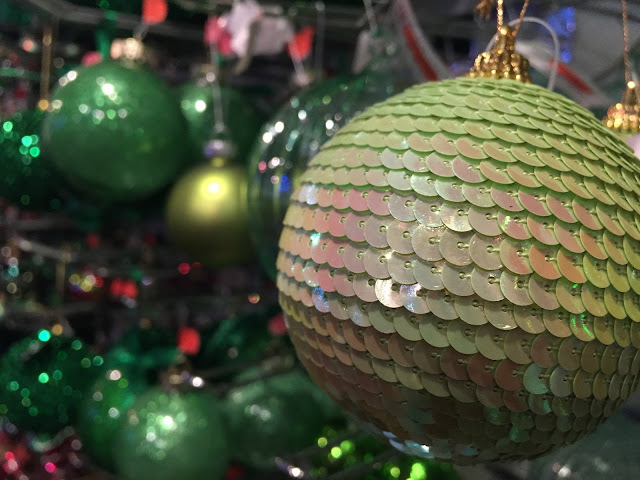 There are baubles in 20 different colour schemes as well as table decorations, lights and those cute little village scenes that look like they should be part of a train set. 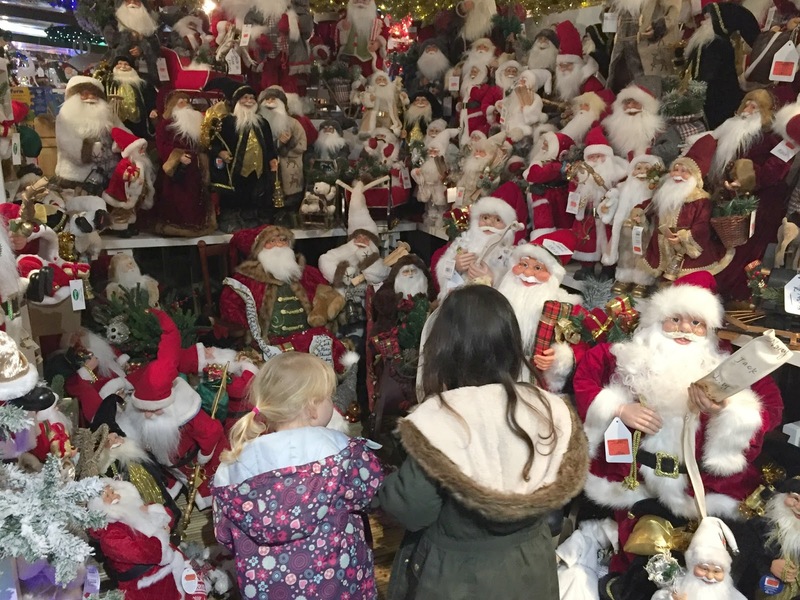 My favourite display (although part of me found it fascinating in a scary way) was the largest display of Santas I’ve ever seen. After the Christmas shop we decided to go around the Woodland Walk one more time before retiring to the cafe for a hot drink and cake. All in all we spent nearly four hours at Keydell with only our tummies to blame for spending any serious money. I love those types of day trips! Everyone was happily exhausted by the time we set off home. 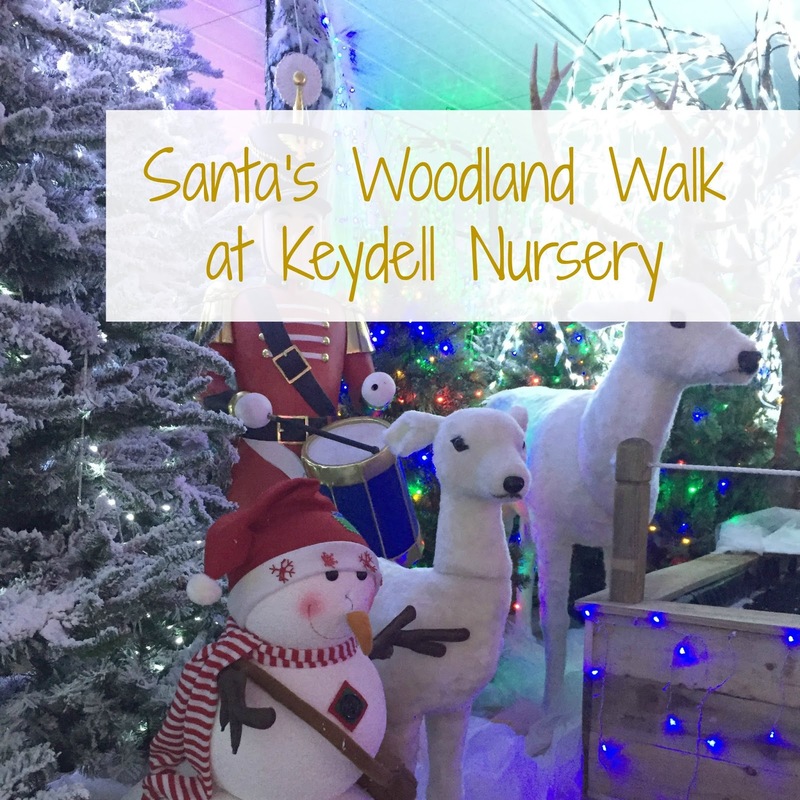 Keydell Nursery puts on Santa’s Woodland Walk to raise money for the Neonatal Unit at Queen Alexandra Hospital and there are lots of water features around the route where you can throw in a donation. Last year £4,680 was raised. Don’t use the nursery’s postcode on your sat nav – ours took us off the A3 at Horndean and then back onto the A3 heading to Petersfield. Use a good old fashioned map. Keydell Nursery is no secret. Be prepared to share the experience with lots of people if you visit on a weekend. Buy your tickets to meet Santa as soon as you arrive at the Nursery as sessions sell out fast and you may have to wait until later in the day. Tickets can only be bought on the day. 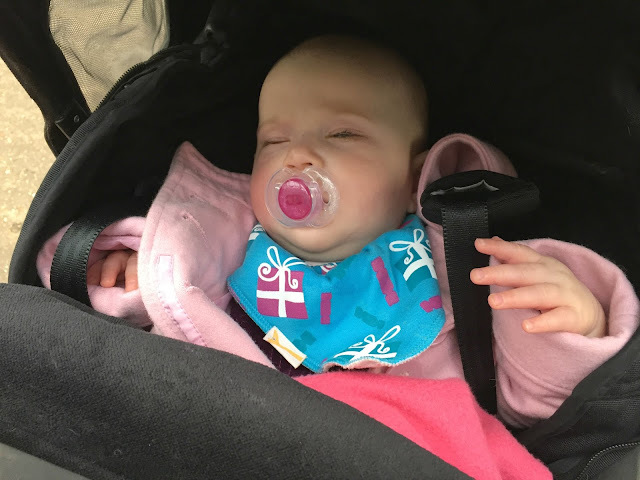 Tin Box Baby was looking suitably festive for our visit to Keydell Nursery thanks to her Christmas presents bandana bib from Funky Giraffe. Like all of their fun bib designs, I love this one – it’s going to get warn a lot in the coming weeks. Disclosure: the lovely people at Funky Giraffe gifted me some bibs for Tin Box Baby. All opinions are my own. Nice that all that was just a donation. The cafe sounds pretty reasonable too. Those pigs are gorge which almost makes up for the terrifying Santa collection. Oh I love days like these, especially in garden centres with all of their decorations up!! #happydiaries thank you for sharing! 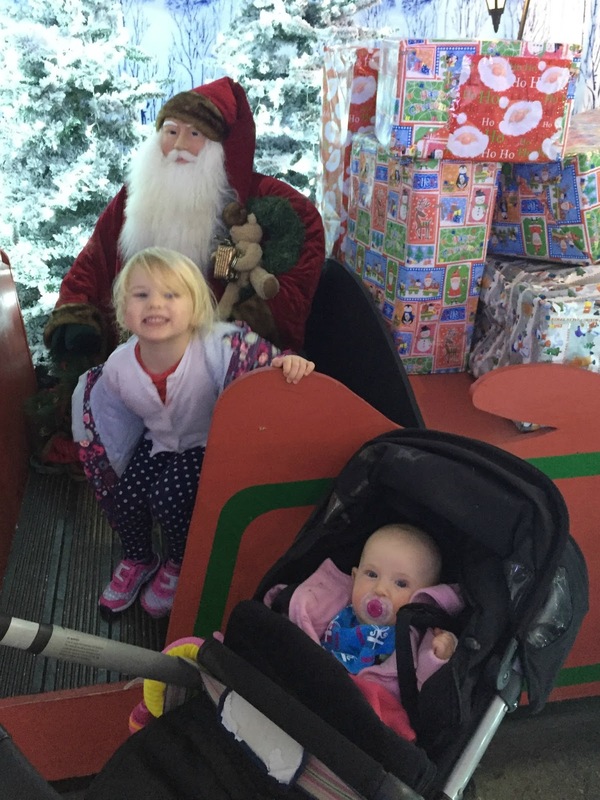 Loved this insight into your wonderfully festive fun!